Part two of my review of the Colt LE901 will be the results of my shooting of the gun, its accuracy, performance and handling. I shot the rifle with all of the more popular match ammo and with handloads. 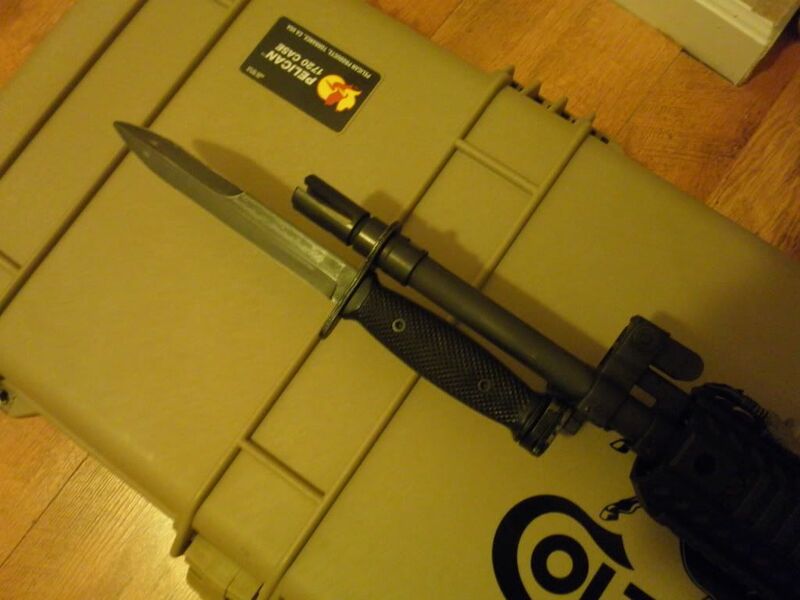 I also took the gun out past what the company reasonably expected it to be fired at. I expected the gun to perform well with its accuracy since it is in essence a larger 6940. The 6940 with its free floated barrel and unique barrel nut has been a very impressive performer. The results still surprised me a little bit and shocked me with what it did at 1000 yards and beyond. The 1st set up groups were shot using 168 grain federal match, M118LR, Black Hills 175 match. This was the first shooting from the gun after I got it. I placed a Leupold 18x target scope in larue mounts on the upper and got a rough zero then proceeded to shoot for groups. The groups were shot at 100 yards on a calm day using bipods and a small rear sandbag rest. I considered this to be outstanding accuracy from a chrome-lined military 16 inch barrel. The 901 is pretty much a battle rifle, and to expect this accuracy from a battle rifle is not always reasonable. Some battle rifles will give good performance but 2-3 MOA is usually considered fine for such weapons. Above picture represents the rifle setup used for all accuracy testing. The next set of testing of accuracy was long range. 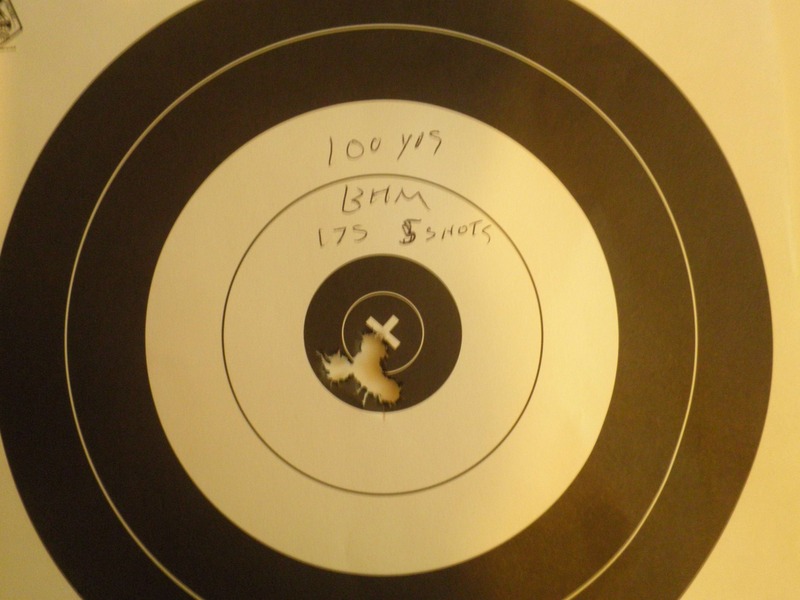 I started out shooting the rifle with the common Federal Gold Medal 168 grain loading. 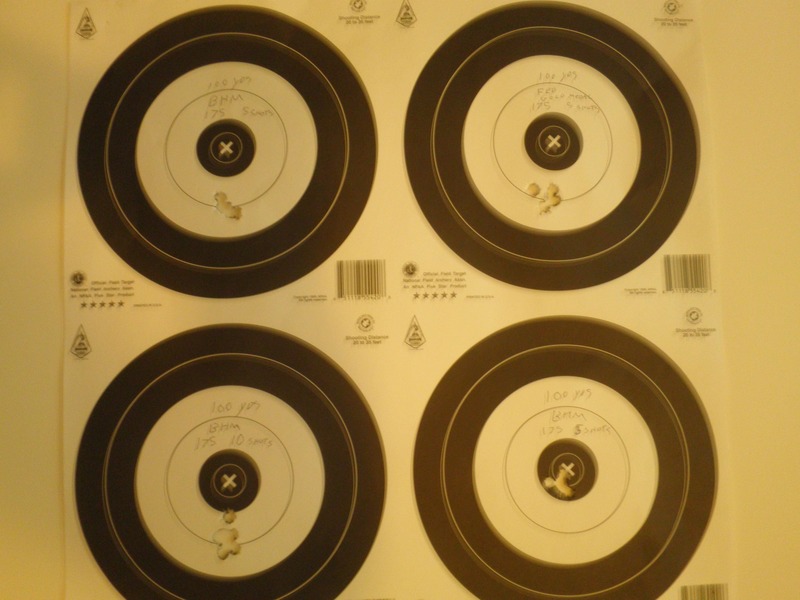 I used steel gongs at 600 yards the size of a man’s chest and a steel shaped groundhog. With only 16 inches of barrel, velocity did fall off as expected causing me to need more adjustment on the optics compared to my normal 26-inch bolt-action. Some people seem to think shorter barrel means less accuracy but this is simply not true. You lose velocity but not accuracy. A quality barrel will always shoot and the shorter it gets, the stiffer it becomes and usually will gain a slight edge in accuracy with the shorter stiffness. Posing beside the target for scale,the T-1 was not used for the 600 yards shot and was installed afterwards. The groundhog target can be seen over the authors left shoulder. Hits were made easily once the scope was adjusted. Military ball ammo could be used to make repeated hits out to 600 yards though not with the reliability of the match ammo. The next step tried with the 901 was 1000 yards. For this test I used the popular 168 grain load and my own handlaods of Berger 175 grain Berger VLD bullets with Varget. I set up the target at 1000 yards and got to work. Because of no cant on the base or the upper I ran out of elevation on the optic. The optic was the Leupold 18x with a 1 inch tube. It is a target varmint scope and not suited to true long range work unless a canter base is used. Not being able to zero and hold point of aim/point of impact, I had to hold off. This made wind correction difficult. It did not take long to become frustrated trying to determine hits on target with using hold off. So I settled on using the steel gong I used to get the rough zero at the distance by putting it a foot behind the paper target. In doing this, I was able to hear the steel ring when I was enough on paper to record a hit. With the wind blowing 8-12 MPH on the day trying to watch the dust from misses was not going to work. The gong behind the target worked well. Because of the distance and the length of the barrel, the 168 grain load was a no go. I tried but the rounds just could not make it. The 168 has trouble staying super sonic even in a 26 inch barrel at 1000 yards, and in a 16 inch barrel, it was pointless though I did try. A lot of people seem to think the accurate 168 load is the standard but it simply is not. The 175 grain loadings for long range are better in every way and have been in use for sniping for years now in its M118LR form. Once I fired at 1000 yards and saw the 901s performance I tried my luck at 1200 yards. So I moved back another 200 yards and tried again. The group at 1,200 may not seem like much, but in a carbine not meant for this work, it is impressive. The groups are marked in the picture circled in different color to indicate which groups was shot at the different distances. Blue for 1000 yards and green for 1,200. The 1000 yard groups does not seem as impressive as it really is at first glance. Wind was catching me and taking the shots off to the left. Since I could not see the hits I used the same hold through the whole string of shots, but if you move the holes over to the right, you will see the most of them would have fallen in the bad guys chest and would have been lethal. The position of the group is my fault , not the fault of the rifle. The 1,200 yard group is better than at first seems as well. It may not be sniping precision but it is enough to make hits at the range or at least provide effective covering fire. It is surely good enough to disable a vehicle form the distance, or any other machine that needs stopped, or even to direct fire for a machine gun team? Who knows, the possibilities are what you make them. After this testing I shot the rifle in the usual fashion using tactical drills and IDPA target, Q targets, clay pigeons and steel gongs. Most of this general purpose was done with ball ammo and some match thrown in. After over 1,200 rounds at that point I had not cleaned or lubed the 901. It worked as flawless as it did when I took it out of the box. At times I heated the gun up so much I needed gloves to continue to fire it and even the mount that held the T-1 to the upper was too hot to the touch for bare skin. At no point did the gun have a problem or feel sluggish. After totaling up those rounds fired with no cleaning I decided to test its accuracy again. I would test it dirty and if it did not do well I would clean the barrel and try again, showing the effect of fowling if it was drastic. I used the same optics and mounts as before but for the next test I used a dedicated Benchrest competition style front rest that weighs about 35 pounds, with a sandbag on the rest and a rear bag. To get all I could from the gun I concentrated and used all my effort to shot the best groups I could. Most groups took longer then 10 minutes for 5 rounds. It is hard work to shoot small groups and total effort when using a milspec trigger and a semi auto. Shooting a semi auto is a different animal then shooting small groups off a bench with a dedicated bolt gun with a target stock and has different needs you have to be aware of. This set of targets were shot first while the gun was dirty with over 1200 rounds of fouling. I decided there was no need to clean after getting these result. They are slightly better then the original test for accuracy so I felt cleaning would not help or hurt much. If anything the gun shot slightly better, perhaps do to some break in. After years of experience I have come to the conclusion that barrel break-in is a waste of time. I can not think of any good reason why the gun did better and I surely never used the conventional “wisdom” of 1 shot, clean, repeat etc etc. The 10 rounds group of Black Hills 175 grain was shot last and is very impressive to me. I have seen few factory bolt guns that would shoot this well and I do not recall ever seeing a factory M1A or M14 that would do as well. Here is a picture of all the groups side by side. The gun now has close to 2000 rounds though it still with no cleaning. I am able to make head shots out to 300 yards with it and stay within the CNS or “A” zone of the badguy targets if the wind is not too bad and I do my part. If not, head shots are still easy. I have lubed the BCG since it was bone dry, and have created a nice black slurry that has not done anything negative except ruin my t-shirts. In Part 3 I will talk about shooting the gun in a more “run and gun”manner, how it feels, what the recoil is like and how I set it up for comfort and shooting it wearing gear.